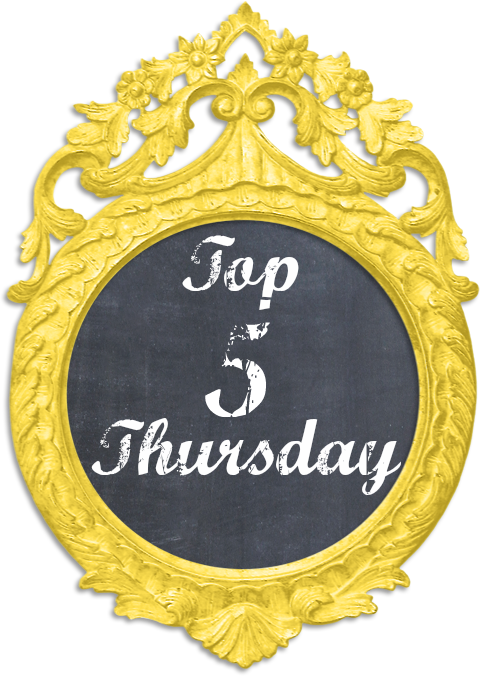 Welcome to Top 5 Thursday! This is where I pick a topic and list my top 5 in the topic! This week I am doing Fall Nail Polishes! My favorite thing about fall colors is that you can do anything from jewel tones to deep neutrals and it all counts as "fall colors". I tried to give some variety in my top 5 (though there are 2 "purple" shades). Hope you enjoy! 1. The first one is an NYC in a New York Minute Quick Dry Nailpolish in the color Battery Park Purple. This one is a very deep purple with a slight berry tint to it. 2. The next one is a WNW Megalast Salon Nail Color in the color 201C Wet Cement. I love this color! It is a warmer grey color. And these Meglast nail colors are amazing. The brush is nice and wide, the color lasts a long time and they dry pretty quick. 3. This one is Petites Color Fever in 534 Raspberry Ice. This one is a sparkly berry color. It is so beautiful! 4. Then you have this dark blue/teal sparkly color from Sinful Colors. This one is 5115 Stormy. I love that this isn't a chunky glitter but it has a really good sparkle to it. 5. And last is my most favorite which is another WNW Megalast color. This one is called Disturbia and is #217B. This one is a deep purple with a berry colored sparkle in it. It is perfect for putting on your toes! So there you have it! My top 5 favorite fall nail polishes! What are your top 5? If you have any suggestions for topics for Top 5 Thursday, email me at justonce22@gmail.com or leave me a comment!